Is this really even a question? 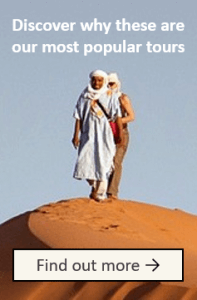 As more and more people visit Morocco, more and more people are realizing what a phenomenal travel destination it is. Marrakech is ranking next to Paris and London as top cities to visit. Called “mysterious, beautiful and exotic” by visitors and “home” by locals, this country never fails to impress all who journey through it. “Thank you for introducing us to such a beautiful diverse country”– Colin and Christina. What better place to go on your honeymoon than one of the countries that is topping the lists of travelers’ favorite destinations? If you are looking for a luxury honeymoon, then Morocco is the place for you. You can stay in a hotel in any country…but Morocco offers the unique opportunity to stay in a beautiful riad. These private, traditional houses are stunning displays of architecture and design. Our travelers always ooh and ahh over the overwhelming beauty of their accommodations. Beach or mountain honeymoon? How about both? How about throwing in the Sahara Desert and ancient cities of Fes and Marrakech as well? When you visit Morocco, you are not limited to seeing one landscape. In the same vacation, you can drive through the Atlas Mountains, ride a camel out to the Berber tents in the middle of the Sahara, and shop in markets in a city that has been around for centuries. You can also relax on the beach in Essaouira or Agadir. Morocco truly has it all. Of course, when you are picking a honeymoon destination, you want to make sure that it is a romantic place. 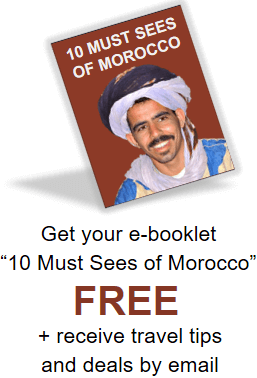 There are many romantic options of things to do with your spouse in Morocco. Think of couples spas in your riad, sleeping under the stars in the Sahara, or taking a hot air balloon ride over Marrakech. These are just a few ideas for you…for an extended list, see our 9 Romantic Things To Do in Morocco. Admit it, you don’t want to be trying to figure out public transportation on your honeymoon. You would much rather prefer the privacy of your own car…but if you want to go to another country, how do you make that happen? This is the beauty of a private tour. 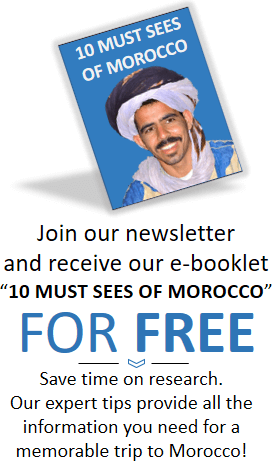 You can have your own personal driver who will take you throughout the country of Morocco, sharing with you his knowledge and passion for his country. Feel free to stop and explore whenever you would like! It’s all up to your schedule. You will have a good time wherever you go on your honeymoon. But we believe that the best memories are made when you are doing new things together! Enjoy daring each other to be the first to try the snails or competing about who can be the most successful camel rider. You’ll find each event to be a new experience: memories that you will treasure forever. But with all these new experiences, sometimes you just want a taste of home as you travel. People are often surprised at how European some parts of Morocco feel and how they are able to stop for McDonald’s or Pizza Hut as they drive through the new cities. Perhaps one of the most convincing reasons to travel to Morocco for your honeymoon is because of the outstanding hospitality that visitors receive in Morocco. 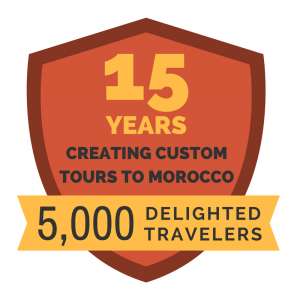 We cannot exaggerate the number of times that we have heard our travelers be shocked at the way people in Morocco go above and beyond to make them feel at home. Whether it’s preparing special vegetarian meals for their guests or having the manager of a riad sit down and personally welcome the travelers, Morocco is known for its hospitality. The beauty of a trip is often found in the way that the small details work together effortlessly. Let us help you plan your perfect Morocco honeymoon today. With personal connections with hotels and riads, we will be able to guarantee that your special trip is a romantic experience to remember.